Google rebranded its Google Keyboard as Gboard in 2016 and since then it has been my favourite keyboard. It is easy to use, and the Google search function in the keyboard is the most useful of all. Apart from the search function, Gboard feels a lot faster than other keyboards while having solid prediction feature and multi-language support. While I absolutely love the Google keyboard, it is only fair to understand that not everyone is alike and not everyone will like the Gboard. It can be too simple for some people, and some may find it a bit too busy. Irrespective of the reason, here I present you the best Gboard alternative keyboard for Android. If you happen to look for an alternative due to some problem in gboard, read are Gboard common problem fix guide first. When it comes to SwiftKey there is no if and no but, but best. 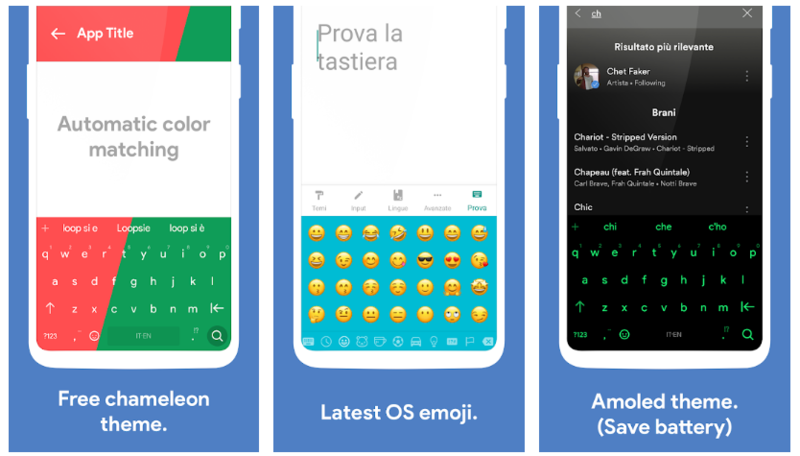 Swiftkey was the most popular third-party keyboard for Android before the arrival of Gboard, and it is still the best Gboard alternative keyboard for Android. 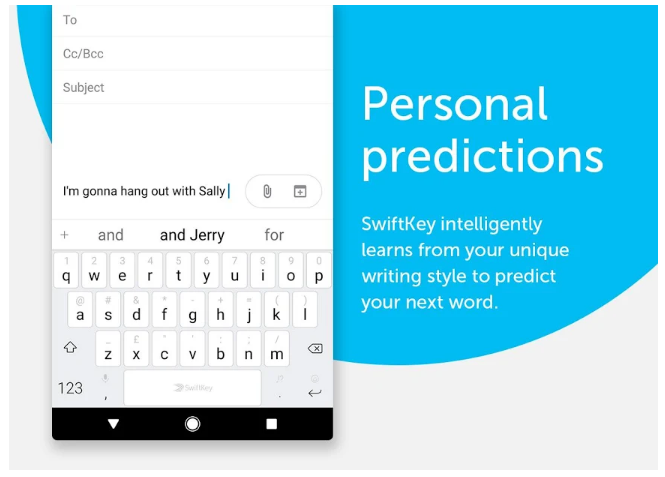 The SwiftKey uses AI to learn the users typing style and adapts according to it by trying to predict accurately while you type. The app comes with tons of customization options including themes. Barring the Google search function, SwiftKey offers almost all the feature of Gboard. You can quickly switch between the languages while typing and the emoji prediction while typing is on point. While it does not offer emoji search feature, you will like the GIFs and Stickers supported by SwiftKey. It also comes with several features that Gboard does not support and one of those features is a Clipboard feature that allows you to pin contents. AI Type keyboard as the name suggests boasts accurate prediction and text completion. The developer also boasts about the keyboard ability to predict emojis and autocorrection. 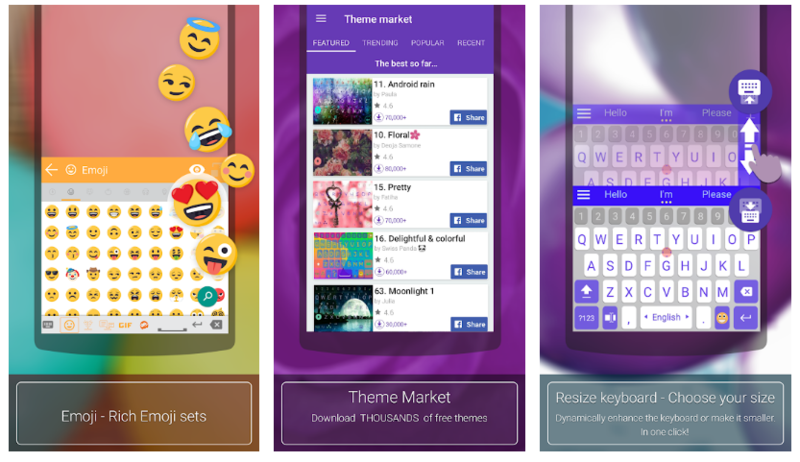 The app supports emoji and GIF search and also lets you change the size of the keyboard. If you are into customization of the keyboard, AI Type Keyboard offers the ability to design keyboard layout, change themes, colours, fonts and more. You can also share the personalised themes with your friends. If you like the Gboard’s search function, the AI Type Keyboard too offer the feature but instead of opening the search result in the keyboard, it opens it in a separate tab of your web browser. AI Type keyboard is free to download but support in-app ads. While the ads may not bother you while typing, it may send notifications once in a while. You can get rid of the Ads by buying the pro version of AI Type Keyboard at $4. Chroma has a unique feature that is missing in other keyboards, and that is the ability to adapt to the colour of the apps for the keyboard layout. So, if you are using WhatsApp, it may adapt to green to match the WhatsApp layout, and if you are using Twitter, it may adapt to Blue to match the app interface. The dark mode will darken the keyboard colour if you prefer to type in the dark. Chrooma does an excellent job of predicting text and emojis, but the SwiftKey board does it better. Moreover, Chrooma supports gestures, swipe typing, emoji search, ability to switch between the languages easily. The Google search function is missing, and I hope to see it being added to the keyboard in future updates. Well, there is no Emoji search as well, so make it 2. 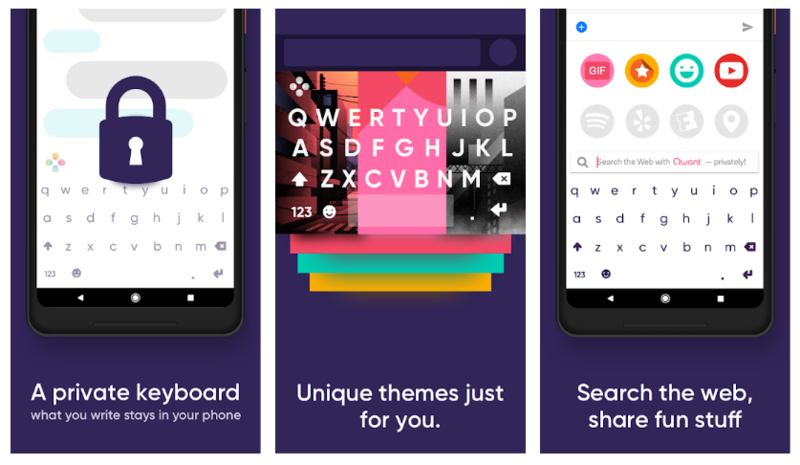 The Flesky Keyboard is the best alternative Gboard keyboard for those who want a keyboard integrated with Google apps such as YouTube, Google search etc. The Google search function works within the app, and you can also watch YouTube videos from the Keyboard. Along with support for basic features like emoji, Stickers, GIFs and Meme search which is a nice addition. The auto-correct and word prediction feature work great, and you can quickly switch between the languages while typing. Surprisingly the Flesky Keyboard does not support swipe typing which is strange for a modern keyboard and also lacks one-handed use support. Grammarly is a popular grammar and spell checker extension for Chrome and MS Word. 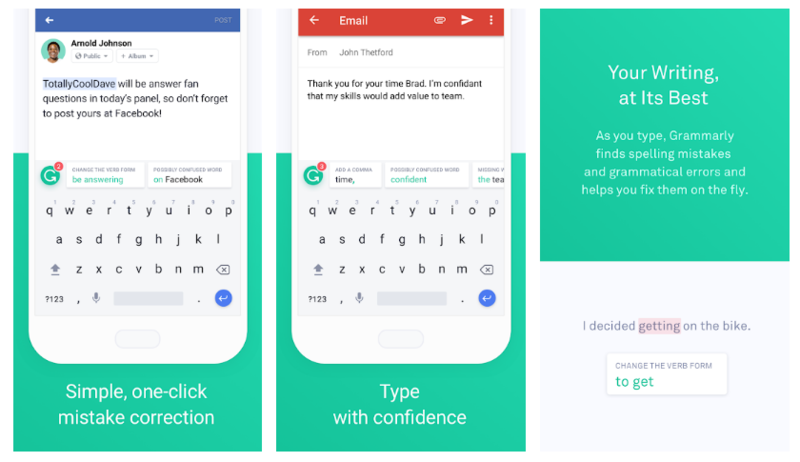 Just like the grammarly Chrome extension is good but not great, the Grammarly keyboard for Android also offers a similar experience. The Grammarly keyboard is all about checking spelling and grammar, and it does the job well. The word prediction is decently accurate, and the spell checker would hardly disappoint you. Grammarly Keyboard has borrowed most of the features from its Chrome extension. While I say most, I don’t mean only the good bits, but the bad bits as well. The Grammarly Chrome extension feels slow at times, and same is the case with Grammarly keyboard for Android. If you like Grammarly Chrome extension, you may also like Grammarly Keyboard. But, it doesn’t offer swiping as well as Google search feature. With some solid feature additions the Grammarly Keyboard can be top contender mainly due to its top-notch grammar correction, but for now, it is far from perfect. As the name suggests the USP of Multiling O Keyboard is that it supports multiple languages. But, unlike another keyboard, it supports more than 200 languages making it an ideal keyboard for anyone looking for great multi-language support in an Android keyboard. The keyboard is super lightweight and supports features like gesture input, DIY keyboard, battery saving mode, gesture-oriented special symbols and resizable positioning. You can customize the keyboard further with unlimited themes, style and colour. Another nifty feature of Multiling O Keyboard is that can do the simple calculation without having to open the calculator. What is your prefered Gboard Alternative? Multiling O Keyboard offers more than 200 language support etc. 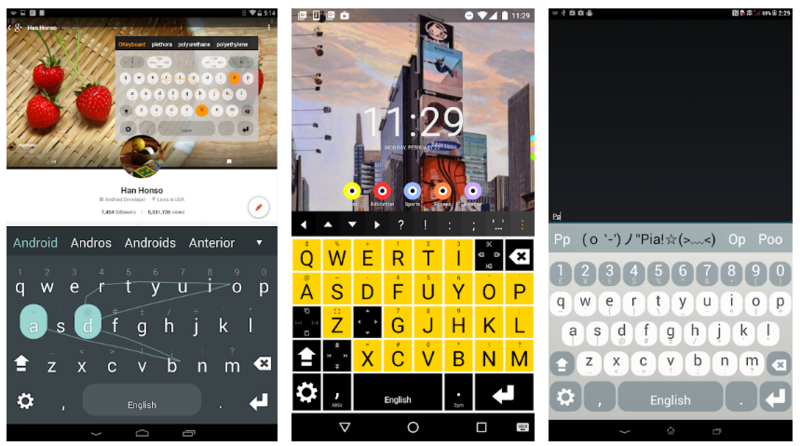 The best way to find the keyboard that suits your needs is to try all the keyboard for a few days and then decide which according to you is the best Gboard alternative keyboard for Android.